Visiting the south rim of the Grand Canyon? 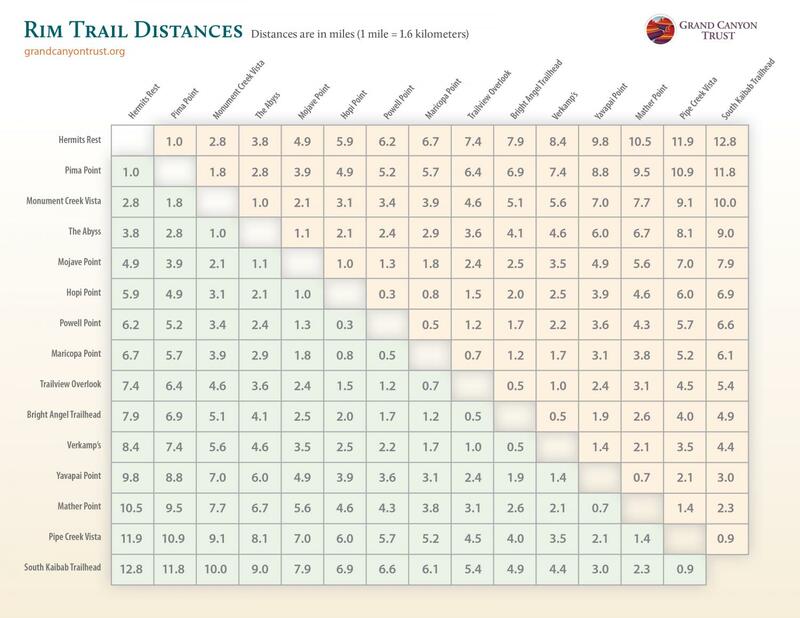 Use this handy chart to figure out the mileage between shuttle stops on the Rim Trail. Walk as little as 0.3 miles, or as much as 12.8.